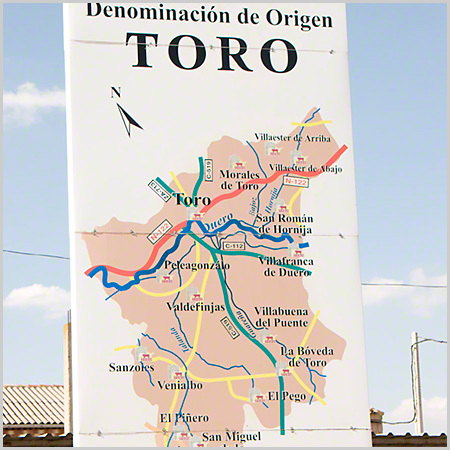 This information is provided by winetourismspain.com, a local Spanish travel agency that specializes in Wine tours in Spain Each Denominaciones de Origen has a governing council. Each bottle of wine must carry a stamped label on the back of the bottle insuring that the wine has met the requirements of the specific DO. This stamp is a guarantee to the consumer. A wine with the stamp included indicates that the wine has been produced in that particular region of Spain and with the authorized grapes and the authorized yields per acre and oneological practices and methods that are approved. A DO can add the letter “C” to its name and become a DOC. This means that all the grapes in all the wineries are used to produce the wine under the DO, no other use can be given to the wine. If on the one hand this regulation brings certainty to the consumer, it can also be argued that it restricts the creativity of the wine maker. We will see in a moment what this can imply. Cosecha is the first level. Cosecha is applied to wines that do not need specific aging. A new level (the 5th one) has been introduced in some Dos. It is called “Barrica” in cases like Ribera del Duero. This level is used to introduce wines which are young, but with a small oak touch to increase the complexity of the wine, or to make it less tannic. These wines can also reach the market at very interesting prices since aging is limited to normally 4 months. The term Crianza on a label means the wine has been aged for a longer time. This time varies from DO to DO. We will use the specific case of Rioja, which we can argue sets the standard of most Dos in Spain wine landscape. In Rioja a Crianza wine needs a minimum of two years before it can leave the winery, with 6 months or more in oak barrels depending on the specific DO. For example, the Rioja DO requires one full year in the barrel. The term Reserva on a label means the wine needs to be aged for three years, out of which at least one year (In Rioja) is to be spent in oak. The term Gran Reserva on a label means aged for five years, two years or more in oak barrels (again in Rioja). There are other 4 terms used for wines in Spain (and actually in the European Union). The term Table Wine (Vino de Mesa) is the term used for wines below the quality level of DO. These are considered to be table wines. The wines are from a certain location but do not have the requirements of the DO for aging and amount of grapes. They can be blended. There is also the Term Table wine with a specific origin which implies blending with wines from other regions is not possible. As in the previous type, these wines do not follow the quality controls of wines from a DO. A final type of wine is a Vino de Pago. These wines are specific of a landscape or piece of land which contains specific features. The name Pago is highly connected to the concept of Terroir. Finca Elez or Dominio de Valdepusa are 2 examples of this type of geographical entities. There are not many Pagos in Spain, on one end because the process to become a Pago is very expensive and complex, on the other end because it is highly restrictive in terms of the vineyard extension and fragmentation.